I was going through some old recipes that I’ve clipped out of magazines over the years, and by ‘over the years’, I mean like 15 years. I suppose that’s not a really long time, but for a semi-young person, it’s a pretty long time to be tearing recipes out of magazines.. I’ve loved to bake for so, so long, and I’m such a sucker for foodie magazines. I could flip through them for hours, dog-earing pages and ripping them out. I’ll have a huge stack of pages about two inches thick before I sit down one day to watch a movie and cut out the recipes in a nice and neat fashion. It’s fun and kind of therapeutic. I pulled this recipe from an issue of Gourmet sometime circa 2003-2006. I couldn’t tell you with any more precision than that – only that I know I was in law school at the time. I specifically remember that timeframe, at least. While attending law school, cooking and baking were my absolute favorite hobby. I’ve always found baking to be a tremendous stress-reliever, and it really got me through some tough school days. It was so much fun experimenting with ingredients, testing new recipes, and generally baking like a madwoman. Tender, flaky, melt-in-your-mouth, a little nutty, a little caramel-y, super rich, and yet light. Divine. 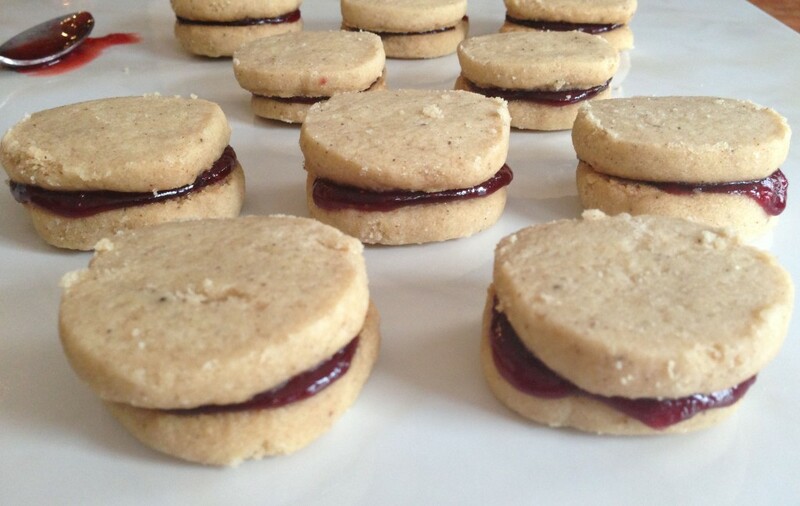 I filled these with a mix of homemade raspberry and strawberry jams…. amazing. Melt butter in a large saucepan over moderate heat and cook, stirring occasionally, until butter turns golden with a nut-like fragrance and flecks on the bottom of the pan turn a caramel brown color, about 10-12 minutes. Remove from heat. Allow to cool, stirring frequently, until butter starts to look opaque, about 5 minutes. Stir in sugar and vanilla. Whisk together flour, baking soda, and salt in a small bowl and stir into butter mixture until a dough forms. Dough will feel crumbly, but will become cohesive when pressed. Shape into a 1 1/2 inch log, wrap with plastic wrap, and let stand at room temperature 1 to 2 hours to allow flavors to develop. Put oven rack in middle position and preheat oven to 325 degrees. 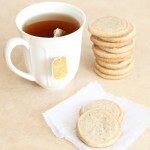 Slice cookies into discs approximately 1/4 inch thick. Arrange on an ungreased cookie sheet. Bake cookies until just pale golden, about 10-15 minutes. Cool cookies on sheets for 5 minutes, then transfer cookies to rack and cool completely. 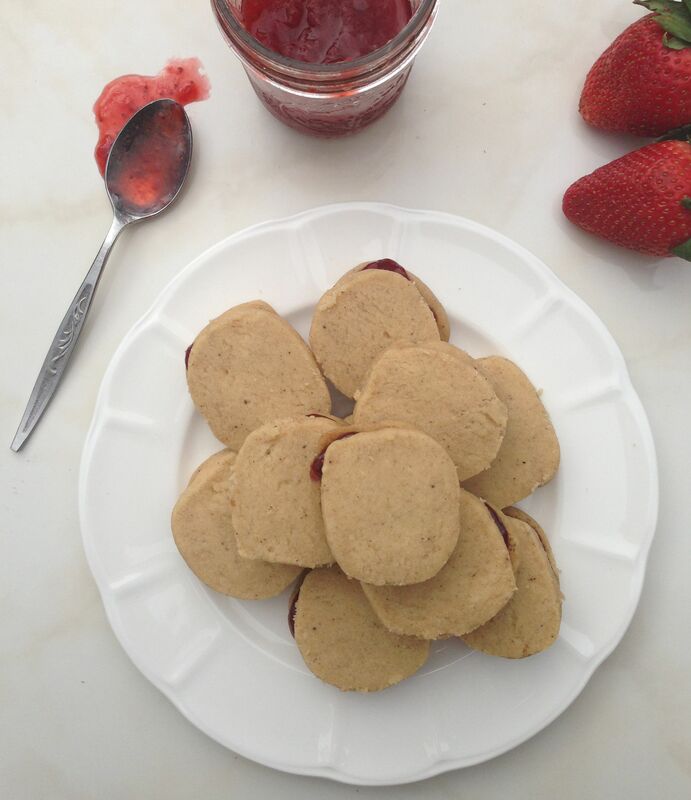 Heat preserves in a small saucepan over low heat and spread a thin layer of preserves onto one side of a cookie. Sandwich with another cookie. 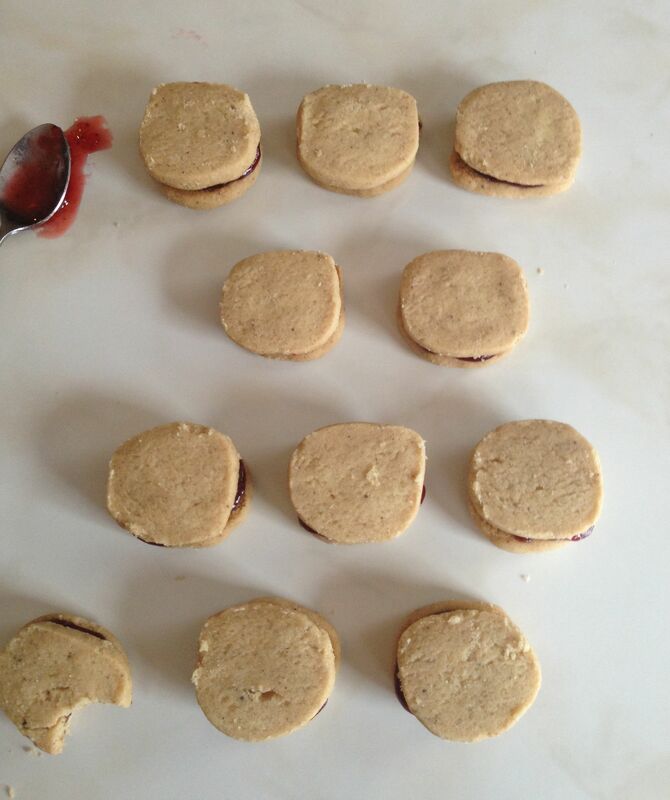 Continue assembling remaining cookies. Let stand until set, about 1 hour. Transfer to an airtight container for storage. 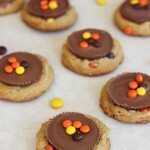 Cookies will keep at room temperature up to 2 weeks! Servings: About 30 sandwich cookies. -The dough can be made ahead of time before baking, and can be chilled in the refrigerator. Bring to room temperature to soften slightly before forming cookies, about 30 minutes. 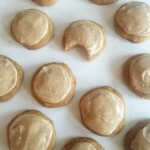 -I found this recipe in Gourmet magazine about a decade ago and it was called “Spoon Cookies.” You use a metal teaspoon to shape the dough into little oval discs instead of rolling the dough into a log and slicing into discs. I don’t personally have quite the patience for it and find it a little tedious, but feel free to give it a go! I too found that same recipe and have always made them with the spoon. Your log idea is a great time saver. 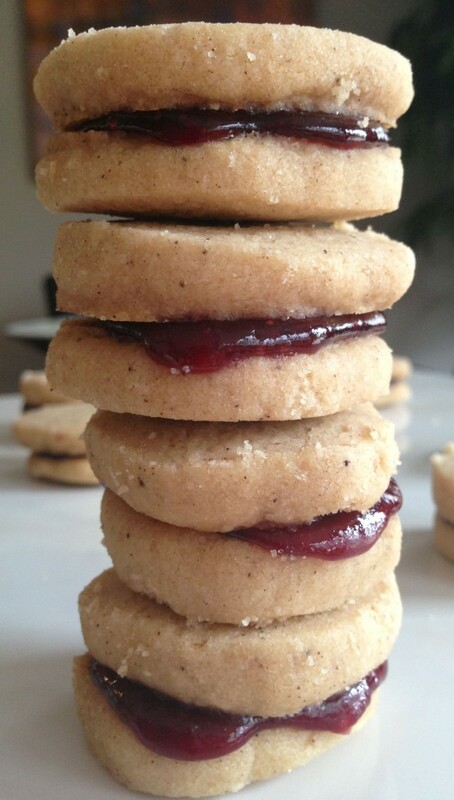 These are easily some of my most favorite cookies whose taste does get better over days (as the original recipe said they would) but who can wait. Now I can make them more often since I’m going to toss away the spoon. And I agree, nothing beats butter except browned butter!! How funny!! You had the same recipe from the magazine? 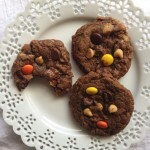 I love these cookies and have been making them for years! They really do get better with each day because the flavors all blend! Check out these bacon pecan candies cookies – also found in a magazine. These have become another of my favorites! 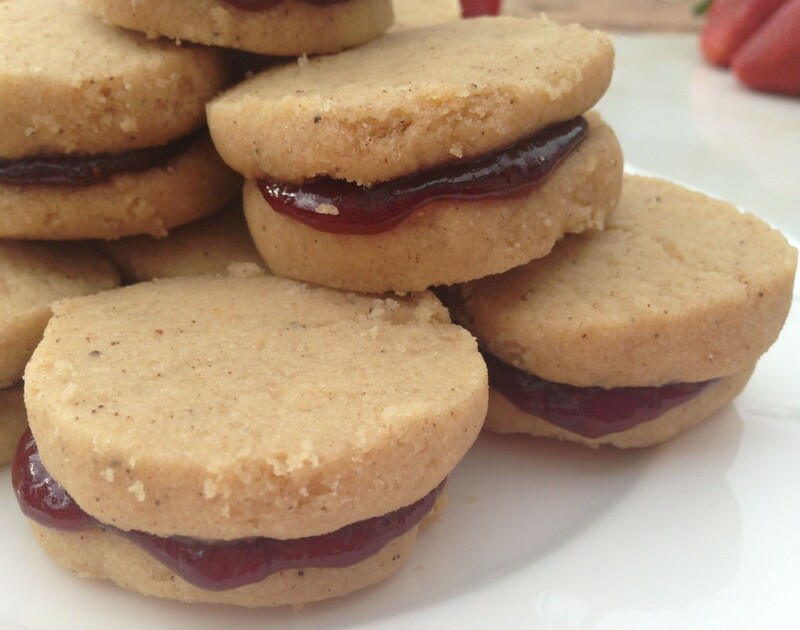 Sorry – here is the link to the cookie…. You know what’s interesting? 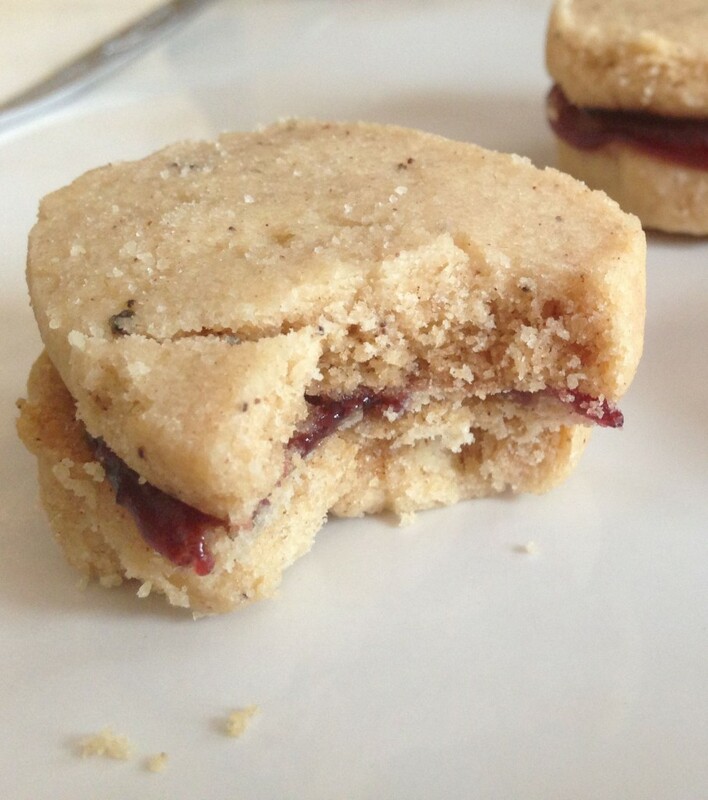 I used this same shortbread recipe recently and dipped them in dark chocolate, and topped them with crumbled bacon. They aren’t on the blog yet, but are coming soon! How funny that you would show me a similar recipe! I will have to try those too! I make the bacon pecan sandies with browned butter btw. And I found the dough works better with an extra tbsp of butter and a little brown sugar in addition to the white. 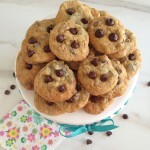 These cookies are so good, I usually have to double or triple the recipe! I hope you like them.